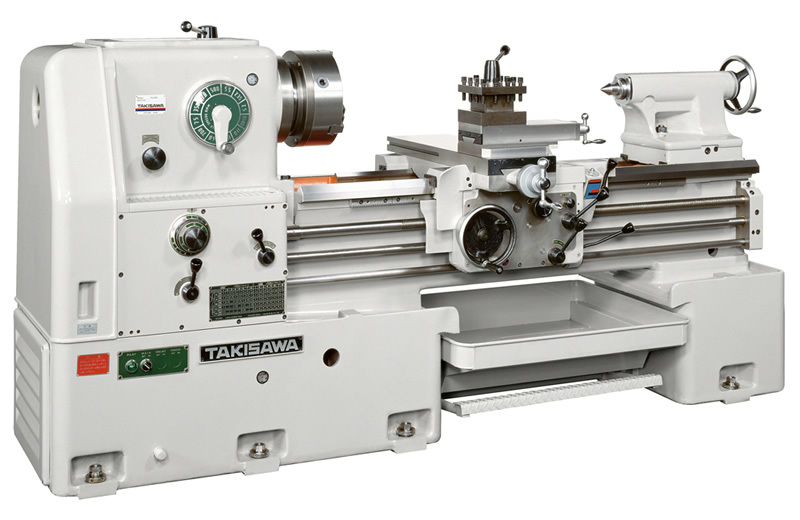 TAL-Series｜Takisawa Machine Tool Co., Ltd.
and training facilities all over the world! 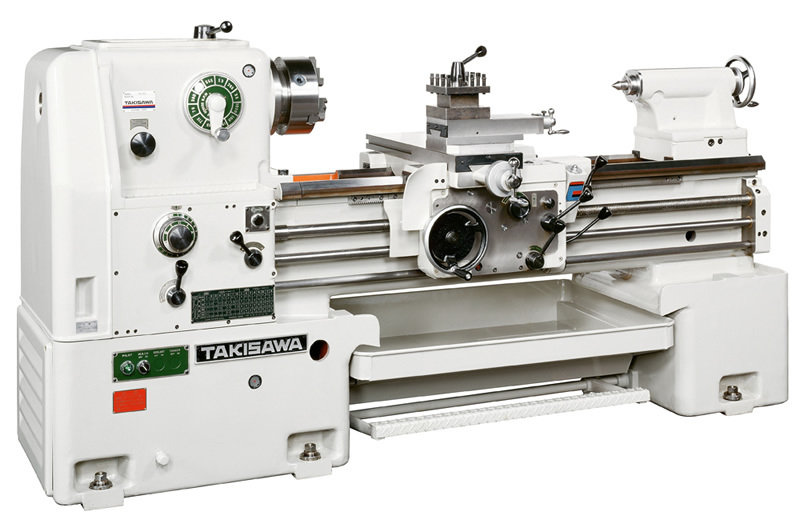 The machine is equipped with various safeguards in order to insure a worker's safety, and prevent mechanical breakage. Highly rigid wide bed and carriage basically designed with structure of low center of gravity. 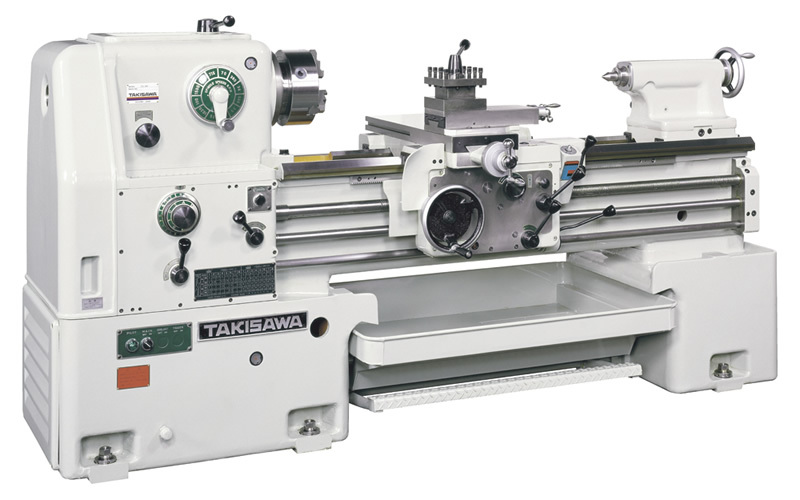 Headstock having sufficient bearing diameter and 16-step speed change system ensure stable heavy-duty cutting and high accuracy machining.